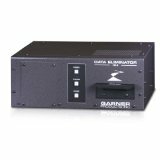 The HD-2 Data Eliminator Continuous Duty Hard Drive & Tape Degausser is a drawer-style magnetic media degausser powerful enough to erase both longitudinal and perpendicular hard drives, as well as LTO-3, LTO-4, Travan, and other high Oersted media. Throughput is approx. 40 units per hour. 60 second cycle time. Deployable.